"#NetanyahuFirsters who have long agitated for FTO (Foreign Terrorist Organisation) of the IRGC fully understand its consequences for US forces in the region. In fact, they seek to drag US into a quagmire on his behalf," Mohammed Javad Zarif said on his Twitter account. "@realDonaldTrump should know better than to be conned into another US disaster." Netanyahu has described the Tehran government as a "terrorist regime" that threatens the world and promotes attacks worldwide in the name of radical Islam. Iran denies this. "With this stupidity, the American army and security forces will no longer have today's calm in the west Asia region," Jafari was quoted as saying by semi-official Fars news agency. 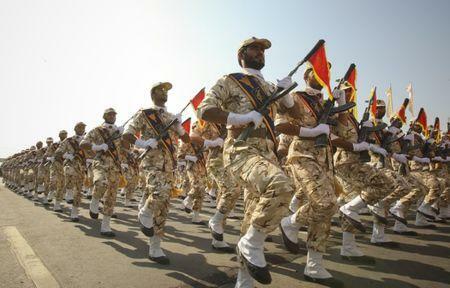 Set up after the 1979 Islamic Revolution to protect the Shi'ite clerical ruling system, the IRGC is Iran's most powerful security organisation. It controls large sectors of the Iranian economy and has huge influence in its political system.